For over twenty years we have grown Georgia Pecans as a family business. We take pride in the quality of our shelled and unshelled pecans including the Oconee, Desirable, and Sumner varieties. 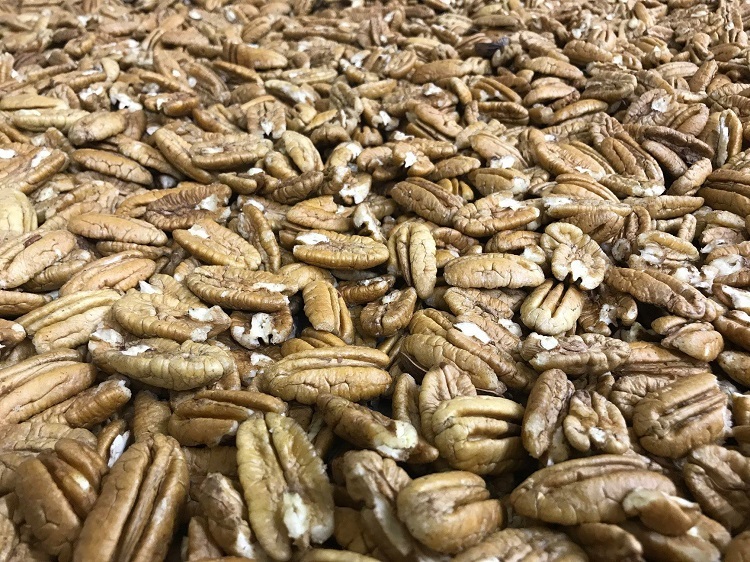 If you would like to take this opportunity to learn more about our operation and what makes our pecans just a little better than the rest, feel free to explore our site! Our business began in 1986 when founder and owner, Larry Jordan, planted the first pecan orchard at Wagon Hammock Nursery, Inc. Wagon Hammock Nursery is located on US 1 N in Lyons, GA. The city of Lyons is in Toombs county in southeastern Georgia. 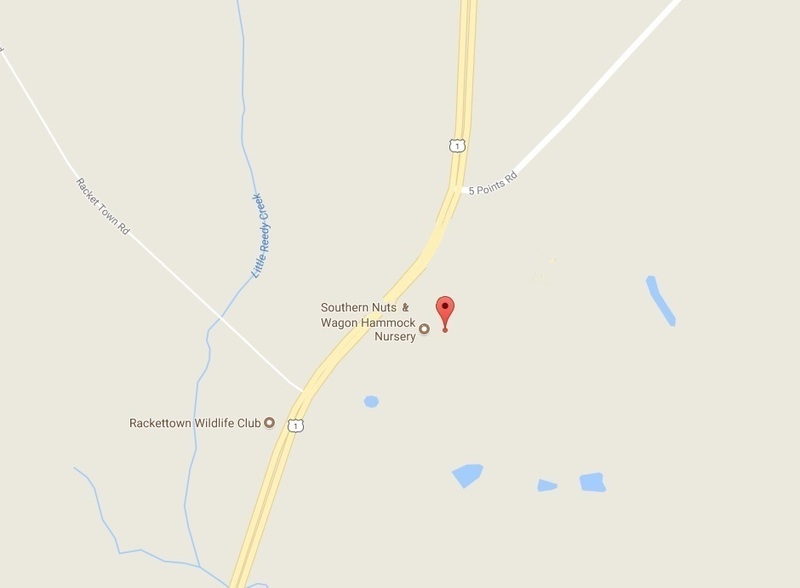 Southern Nuts was established in 2008. Southern Nuts is a proud family-owned and operated business operated by Debbie Jordan and her brother Michael Jordan. 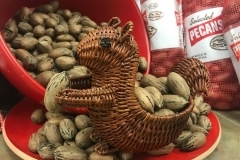 Since its beginning more than twenty years ago, Southern Nuts has continued to grow and sell fresh Georgia Pecans to some of the largest retailers in America. Southern Nuts produces and sells only the best varieties of Georgia Pecans, including the Oconee, Desirable, Sumner and Stuart varieties. Oconee variety pecans originate from the Oconee tree. While these trees produce crops relatively early in their lifespan, its nuts are harvested from the middle to almost the end of October. Oconee pecans are large and of high quality. Desirable pecans live up to their name. These trees produce early in the season. The Desirable type is an oily variety of pecan, and is a favorite of tourists in Georgia. 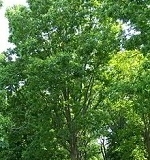 Sumner pecan trees are quite robust and resilient. Like the desirable sort, these trees also flourish early in the season, and produce wholesome nuts. Sumner trees do very well in southern states like Georgia, Florida, and Alabama. 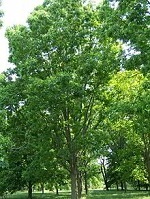 The Stuart pecan tree yields enormous amounts of nuts, and can be found all throughout the U.S. The GFVGA is the Georgia Fruit and Vegetable growers association. Southern Nuts joined GFVGA in order to network with other pecan producers. Through this organization, we are hoping to share innovative ideas to increase production and reduce costs, therefore providing the highest quality product to our consumer at the most competitive prices. GFVGA is the voice of the industry. We hope to take advantage of the wealth of knowledge regarding marketing opportunities, increasing production efficiencies, and improving communications among GFVGA members and industry suppliers. At Southern Nuts, our grading and packing equipment is state of the art. 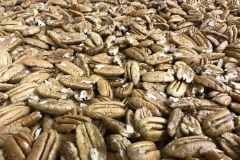 As a result, careful production planning allows us to grow and distribute the best pecans available. Southern Nuts buys and sells the best pecans, furthermore, we have a line of condiments found only in this area. We sell Vidalia Onion Dressings, Sauces, chocolate covered pecans in addition to southern heritage cook books. 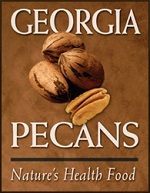 Georgia is the number one pecan producing state in the country. Consequently, Southern Nuts and the numerous other producers in GA have a huge positive economic impact on our state. 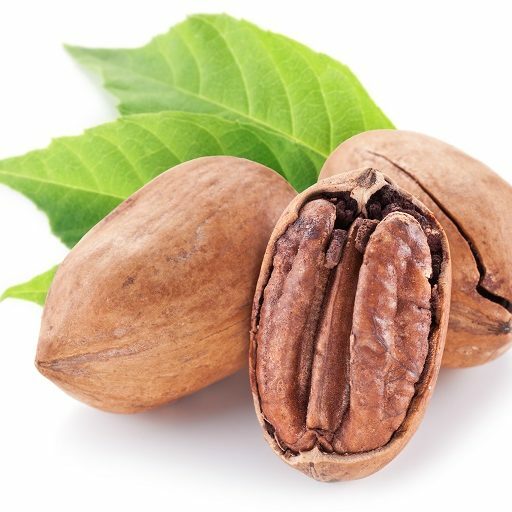 For over twenty years we have grown Georgia Pecans as a family business. 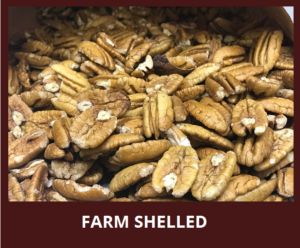 Especially relevant is the fact that we take pride in the quality of our shelled and unshelled pecans including the Oconee, Desirable, and finally, the Sumner varieties. Farm Fresh and Georgia Grown….Straight from the Farm….Straight from the Grower. 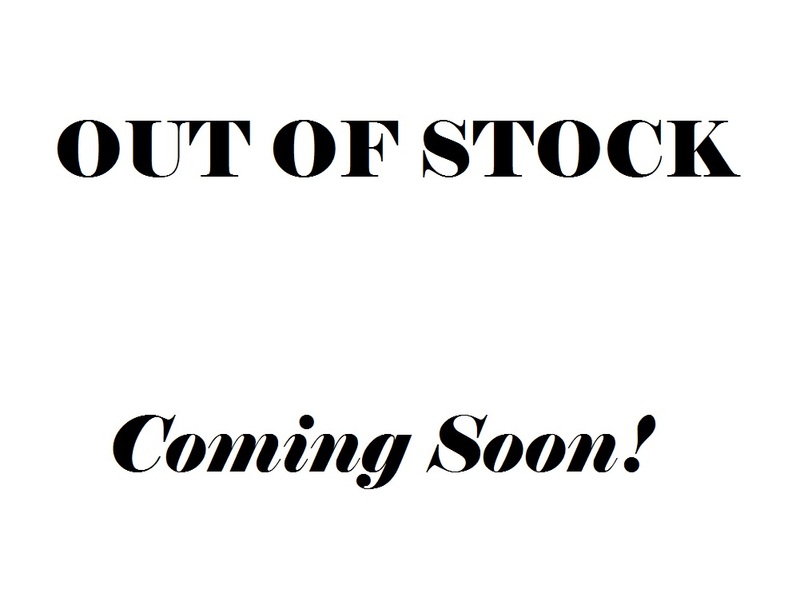 *NOTE- all of the below products (Sauces, Salsas, and Relishes) are currently out of stock, but are coming soon! Buy Vidalia® Sweet Onion Sauces, Salsas, and Relishes Online: FREE SHIPPING! Dressings 12 oz Bottle: Vidalia Onion Tomato Basil Dressing, Vidalia Onion Summer Tomato Dressing, Vidalia Onion Burgundy Poppy Seed Dressing, Vidalia Onion Creamy Vinaigrette. Sauces 12 oz Bottle: Vidalia Onion Southern Steak Sauce, Vidalia Onion Blossom Sauce, Vidalia Onion Sweet Blazes Hot Sauce. Relishes 16 oz Jar: Vidalia Onion Sweet Relish, Vidalia Onion Pickled Onions. Salsas 16 oz Jar: Vidalia Onion Red Peach Salsa, Vidalia Onion Hot Cherry Salsa. 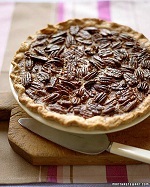 We will be featuring one recipe each month that includes pecans! 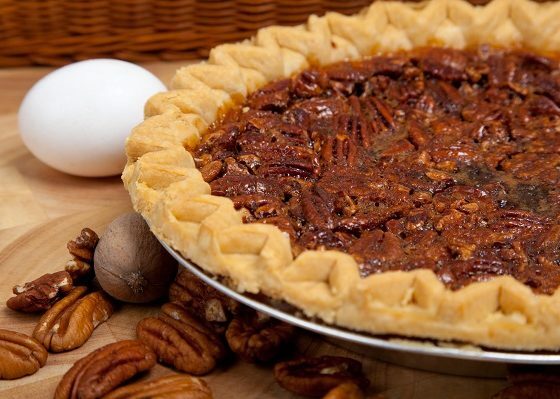 Email us with your favorite pecan recipes and we will feature your recipe sometime in the coming months! Preheat oven to 350F degrees. Spray a 9×13 baking dish with nonstick cooking spray. 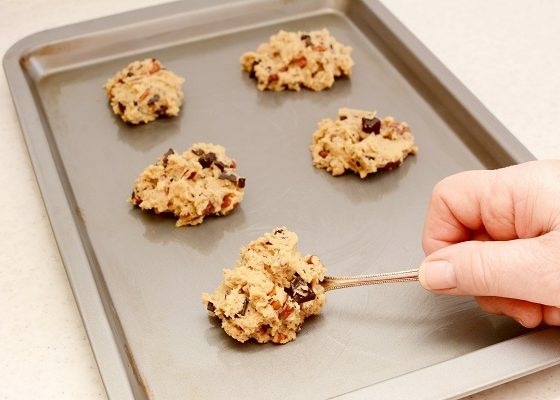 I know I say this all the time but it bears repeating for the new cooks out there, I love the nonstick spray that has flour in it for baking. In a medium bowl (or your stand mixer bowl), combine all the cake ingredients except for the chopped pecans. Don’t forget to add the tub of coconut pecan frosting. That goes into the cake batter too! I just dump it all in there then let the mixer do the work. Once it’s all combined, stir in 1/2 cup chopped pecans. Oven times vary but cake should spring back to the touch and be golden brown. Or insert a toothpick into the middle it should come out clean. For the sauce: In a small pot over medium heat, melt 2 tbsp. Butter. Pour in can of sweetened condensed milk with the melted butter and stir. Continue to stir until heated thoroughly, then add 1/2 cup chopped pecans. Stir again then take off heat. Then spoon this deliciously yummy sauce over individual slices of cake. You can also make this in a bundt pan. Bake for about 50 minutes. 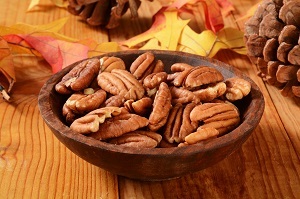 According to americanpecan.com, great tasting Georgia PECANS from Southern Nuts are so healthy for you that they are referred to as “super food.” They are filled with multiple healthy nutrients, minerals, and vitamins that are good for you. A 30-year study by Harvard University found that regular nut eaters were less likely to die of cancer, heart disease or any other health-related cause. Researchers tracked 119,000 men and women. 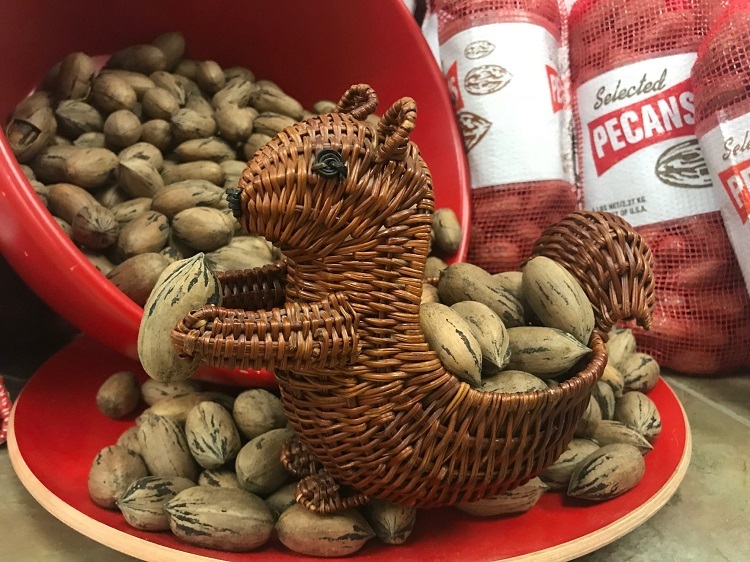 They found that the risk of dying from heart disease dropped 29 percent and the risk of dying of cancer fell 11 percent among those who had nuts seven or more times a week compared with people who never ate them. Pecans contain around 20 vitamins and minerals – including vitamin A, vitamin E, folic acid, calcium, magnesium, phosphorus, potassium and zinc. These nuts are very rich sources of several important B-complex groups of vitamins such as riboflavin, niacin, thiamin, pantothenic acid and vitamin B-6. Together, these vitamins work as co-factors for the enzyme metabolism inside the human body. They have almost no saturated fat and no trans-fat. So they’re good for your heart health. Nearly 60 percent of the fats in pecans are monounsaturated, and another 30 percent are polyunsaturated. The unsaturated fat in pecans meets new U.S. Food and Drug Administration Dietary Guidelines that recommend Americans keep intake between 20 and 35 percent of calories, with most fats coming from heart-healthy sources like fish, nuts and vegetable oils. These nuts are rich in monounsaturated fatty acids like oleic acid and are an excellent source of phenolic antioxidants. Pecans helps to decrease total as well as LDL or “bad cholesterol” and increase HDL or “good cholesterol” levels in the blood. The American Heart Association recognize pecans as heart healthy. These nuts are a fantastic source of many phyto-chemical substances that may contribute to their overall antioxidant activity. These include polyphenolic antioxidant ellagic acid, vitamin E, beta-carotene, lutein and zea-xanthin. According to the American Cancer Society, antioxidants are chemicals that block the activity of other chemicals known as free radicals. Free radicals can damage cells. Free radicals also may play a role in heart disease, cancer and other diseases. Research studies suggest that antioxidants like those in pecans help the body remove toxic oxygen-free radicals. This can protect the body from diseases, cancers, as well as infections. 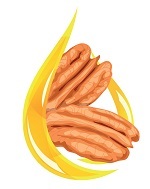 Ellagic acid, for example, has the ability to inhibit DNA binding of certain carcinogens such as nitrosamines and polycyclic aromatic hydrocarbons. This can protect the human body from cancers. Pecans are an excellent source of vitamin-E and are especially rich in gamma-tocopherol, providing about 25 g per 100 g. Vitamin E is a powerful lipid soluble antioxidant. It is required for maintaining the integrity of cells, mucus membranes and skin by protecting them from harmful oxygen-free radicals. The nuts are also a rich source of minerals including manganese, potassium, calcium, iron, magnesium, zinc and selenium. Studies suggest that a diet high in antioxidants from fruits, nuts and vegetables is associated with a lower risk of cancer. A high antioxidant diet can lower instances of cardiovascular disease. Parkinson’s disease and Alzheimer’s disease also occur less frequently in those who include antioxidants in their diet. One ounce of pecans provides 10 percent of the Recommended Daily Value (RDV) for fiber. Pecans are also a natural, high-quality source of protein with very few carbohydrates and no cholesterol. People with gluten intolerance, a very serious health concern, can enjoy naturally gluten-free pecans. 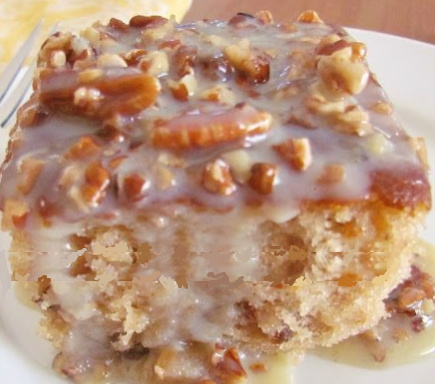 Recipes for gluten-free diets can utilize pecans and pecan meal. Pecans may help with weight control. When combined with a healthy diet, nuts may help increase metabolism and enhance satiety, making dieters feel full. 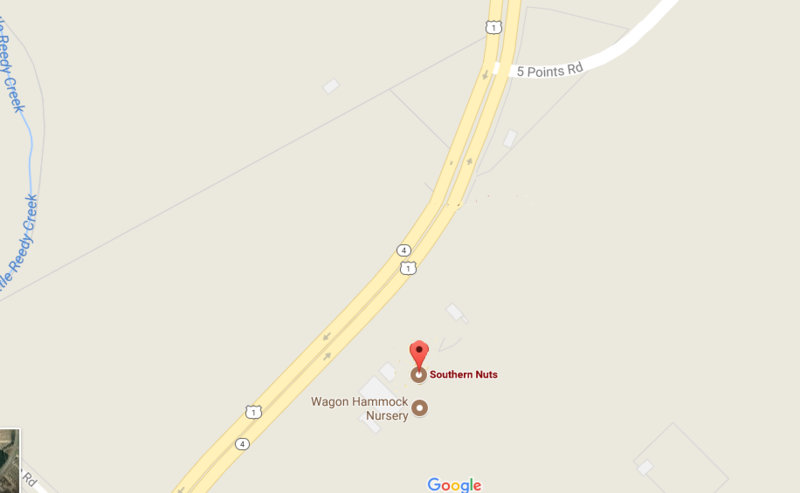 There are several ways to contact Southern Nuts. Get in touch with us, and we’ll get back to you as soon as we can. We look forward to hearing from you! 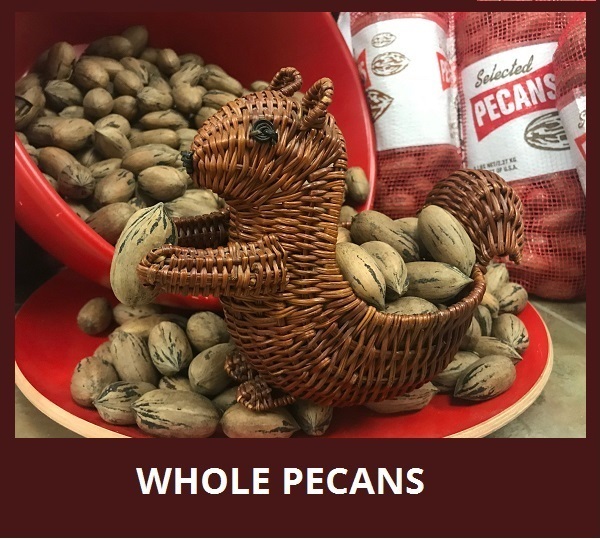 Pecans are our Georgia super food! Look (please see below) at all the vitamins and minerals that are in pecans. 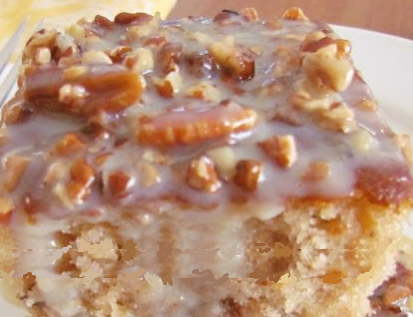 Pecans are the only nuts that are native to North America. 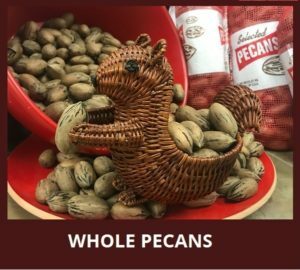 The name pecan is actually an Algonquin word “pakan” or “paccan”, which means “a fruit that can be enjoyed after breaking the shell with a stone.” Let’s also briefly go over some of the history of pecans as well as scientific information on them. Pecans are actually in the hickory family. Hickory nuts are round in shape, while pecans are a longer oval shape. Thomas Jefferson and George Washington both loved pecans and grew them on their plantations. Pecan trees can grow as high as 100 and can live for many many years. Pecans are only second in popularity after peanuts. The United States grows 80% of all pecan nuts in the world. Pecans are free of cholesterol and actually help in lowering LDL cholesterol levels. Pecans are good sources of oleic acid that prevent the proliferation of cancer cells. Pecans contain phytochemicals such as ellagic acid, beta-carotene, zeaxanthin, lutein, and Vitamin E, which make it a good antioxidant. Pecans are also one of the best sources of B complex vitamins like niacin, riboflavin, pantothenic, folate, vitamin B6, and thiamin. GA Pecans are the best money can buy!